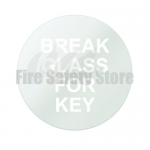 The Fire Door Key Box is ideal to ensure your fire doors aren’t tampered with but they can be used in times of emergency. 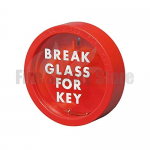 Break Glass Key Boxes are designed for storing emergency keys for the fire door. 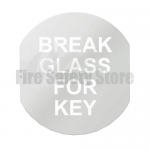 It will keep the key safe and if you were to need access, the thin glass breaks easily and can be replaced (replacements available to buy). 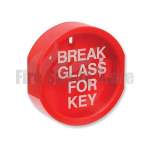 We also stock Break Glass Hammer and Chains to go with the Fire Box. 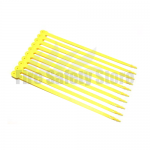 These will help you break the glass safely in times of emergency. 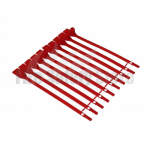 Along with Fire Door Seals in red, yellow and green that helps to prevent unauthorised access to a fire door by the strong pull tight seal that ties the panic latch on the fire door to the rim. 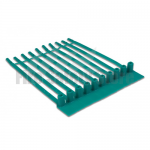 If you order before 2pm today, these products can be delivered tomorrow as a part of our next day delivery policy. Delivery is just £4.95 on all orders.